What is on the Enrolled Agent Exam? The EA Exam, officially known as the Special Enrollment Examination (SEE), is a three-part exam administered by Prometric on behalf of the Internal Revenue Service. Each part is taken as a separate 100 question exam and you will have 3.5 hours to answer all questions for that part. "…I Passed. And I passed with a high score (2s and 3s in all categories). Do not beat yourself up if you aren’t doing well on the practice exams, but put in a good amount of studying. The exam was EASY compared to the practice exams, and, from my experience, easier than Part 1 – Individuals"
"…Again, don’t stress if you put in the study time. FFA does a great job preparing you! Thanks FFA!!" "I started off taking part 3 Representation, Practice and Procedure to help build my confidence in tax law and operation before going into more difficult test like the part 1 Individuals and part 2 Business parts of the exam. This tip helped me, and it is at the front of the text book too!" What kind of questions are on the EA exam? Despite popular opinion, the EA exam will never ask you to fill out a tax form. Instead, you will put your mastery of tax law to the test as you apply it to a variety of circumstances. Which of the following entities are required to file Form 709, U.S. Gift Tax Return? There are five tests that must be met for you to claim an exemption for a dependent. Which of the following is not a requirement? Test-taking skills add critical points to your score. A few missed questions can be the difference between passing or failing. It is easy to get a tricky question wrong, even when you understand the material. Like many of our students, I passed all the exams on my first try. Here are 9 tips to help you do the same. How hard is the EA exam? The IRS Special Enrollment Exam (SEE) is the easiest of the exams that give you unlimited representation rights to practice before the IRS. The other two are the CPA exam and the Bar exam, both of which have significant educational requirements which must be met before you can sit for the test. That does not mean the EA exam is easy. An enrolled agent, to be considered a tax expert, must “demonstrate a special competence in tax matters” by passing three separate exams to become an enrolled agent. Difficulty depends on experience, but the credential is attainable for those willing to do put in the effort. What are the EA exam pass rates? Your study resources are connected and accessible with a simple click, making the learning process highly efficient. This means the information you need is always within reach, so you spend less time searching and more time studying. We track your performance level and confidence in each topic so you’ll know exactly where to spend your time and when you’re ready to pass. No other course is this precise and accurate! Whether you’re reading your textbook, watching a lecture, or practicing study questions, we connect you directly with other students, instructors, and mentors in the Community. This means you get the help you need with difficult EA exam topics right when you need it. "Passed Part 1 today with the help of FFA and a whole lot of FAITH! It was also very helpful to read the comments and responses in the Community threads. On to Parts 2 and 3. WhooHoo!" Ready To Pass On Your First Try? Try it risk-free with our 30-day money back guarantee. How much does it cost to take the Enrolled Agent exam? The EA exam fee is currently $181.94 per attempt and you have four attempts per testing season to pass the exams. You can reschedule your appointment online or by phone. *To help avoid potential fees, we recommend waiting to schedule your exam until you are scoring 80% or higher on our simulated practice exams. ...What you are missing out on if you don't take the exam? "Two immediate benefits of obtaining the EA designation: (1) my earnings were 32% higher during this past tax season, (2) more complex income tax returns were made available for me to complete. There is also the confidence factor, in knowing that I am a more capable tax professional." 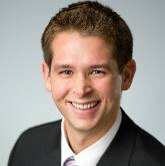 "Earning the EA Designation brought my credentials inline with my professionalism and experience. 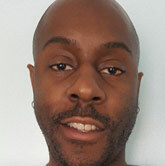 It is a great talking point with my clients and gave me the confidence to increase my fees." "Earning my EA was the first step in growing my business. It proves that I am knowledgeable and that I am a true tax professional committed to serving the tax needs of my clients. The doors are wide open for me to focus on tax planning, tax controversy and tax resolution which will be the focus of my practice." What is an enrolled agent, and why should you care to become one? Discover the real value of the enrolled agent credential, and what it can do for your career! Enrolled Agents, along with Attorneys and CPAs are the only tax professionals with unlimited representation rights, meaning they can represent clients on any matters before the IRS. I have some bad news and some good news. First, the bad. I hate to break it to you, but it is impossible to review every detail that could appear on the exam. The reason is simple — time. A printed version of the Internal Revenue Code by itself is well over 4,000 pages and this is only one source for potential exam questions. There are also Treasury regulations (roughly four times the size of the IRC), hundreds of IRS forms, numerous publications, and plenty more. The good news? You don’t have to know it all to pass! Many of the rules never reach an actual test or appear so infrequently that it is a waste of valuable study time to learn them for the exam. With exam preparation, information can become a disadvantage if it distracts you from the core topics that you need to master to pass. The goal is to simplify the learning process and reduce preparation time, all while improving your retention of the subjects that matter the most. It is way more efficient to ask an expert for help than it is to spend countless—often frustrating—hours researching tax code on your own. This is so important that we integrated an academic community allowing you to get help from instructors and fellow students. Whether you’re reading your textbook, watching a lecture, or practicing study questions, we bring the conversation right to you. We made the course flexible, so you can use it in a way that best suits you. The strategy I generally recommend is to go through each section, answering questions only once. Then, at the end of a chapter, you should reattempt questions you got wrong (once more). We display your best opportunities for improvement by topic in a personalized target using a color-coded system. If you are not in the green, that is OK, just go back and review the book and any available lectures for your trouble areas. Then, move to the next chapter and repeat until you are finished with all chapters. Now it is time to use the Fast Focus feature which allows you to drill down to the areas with the greatest potential to improve your score. I would use Fast Focus to concentrate on one chapter at a time. Continue using Fast Focus until you are feeling confident and most of your trouble areas disappear. If you are thinking about taking a practice exam, you should be very close to scheduling your test. But, before you make plans to call Prometric, you need to pass a practice exam. It is recommended you achieve a minimum score of 70%, but preferably 80% before scheduling your test. If it takes you more than 3 times to do that, you are taking the exams too early. A practice exam is your best indicator of exam readiness, but remember, take practice exams under realistic conditions (no looking up answers). TIP: Stay away from the testing center if you do not pass a practice exam. Our exams are as close as you will get to the actual test. If you can pass our practice exams, you should expect to pass your real exam. Throughout my career, I found it very helpful on various exams to write notes with all the important information that I had not quite mastered onto a single page—front and back—and I would review this information in the parking lot. Once I sat down to take the test I would brain dump everything I could recall in a few minutes onto the provided scrap paper. Careful not to spend too much time. Ironically, I rarely needed to refer to the paper as the process of creating the notes helped me retain it. We publish a parking lot review for students to bring to the testing center, but writing your own notes definitely helps you retain the information better. Before you spend time reading the question, skip to the end (usually the last sentence) to determine what the questions wants. Knowing that gives you a different perspective as you read the rest of the question and it helps you zero in on the important details required to answer correctly. When you take the exam, you will see 15 questions that you didn’t study. Those questions are likely experimental and don’t count towards your score, so don’t get discouraged. Don’t worry too much about questions with complicated calculations. Chances are you won’t need a calculator for more than a question or two; I didn’t. Avoid spending valuable time trying to answer difficult exam questions. We highly recommend using a mark-and-move strategy on the test. If you are not 100% certain, choose an answer, mark, and move on. You can come back to it at the end if you have time. Just make sure you use all available time to review. A tricky exam question can cause you to select the wrong answer, even when you understand the rules. Taking your time to carefully read the questions and identify important logical indicators can help you define the scope of the question, and hopefully prevent you from missing out on points on topics you know. Logical Qualifiers – NOT, EXCEPT, EXCLUDED, and INCLUDED. A qualifier is a word that determines the scope of the question. These words apply logic to the question and can alter the answer dramatically. The IRS may use logical qualifiers alone or combine them with additional indicators to direct the test taker to the correct answer. Be careful here as each qualifier or indicator can affect the outcome of the question. Quantity Indicators – ALL, NONE, and ONLY. These indicators refer to the amount or frequency of an occurrence. A quantity indicator states the amount involved. Probability Indicators – MUST, ALWAYS, NOT ALWAYS, NEVER, COULD, LIKELY, and MAY. This indicator refers to the likelihood or frequency of occurrence. Reinvested dividends are not taxable if not removed from the plan. Reinvested dividends are taxable in the year paid. Reinvested dividends are taxable and are added to the basis of the stock or mutual fund. Reinvested dividends are treated as ordinary or qualified dividends. In this question, the phrase “correct, EXCEPT” implies that the answer is the only one that is FALSE (not correct). This type of tricky question is very common on the Enrolled Agent Exam. Do not get caught by the wording of the question. The correct answer (A) contains two qualifiers, which can easily trick you. While two qualifiers are used, this is not a double negative. A double negative occurs when two negatives are used in the same sentence for emphasis. The two negatives cancel each other. A double negative changes the answer to a positive, for example, “The following statements about dividends received from a dividend reinvestment plan are not correct, except.” In this case, the correct answer would be a true statement. Test-taking skills can add those critical points to your results. A question or two can be the difference between passing or failing. The following fundamentals will help you hone your skills. These characteristics are common on many exams, especially with multiple-choice questions that can lack all the details you desire to be 100% certain of your answer. Triggers A trigger is an important detail or fact that you must understand to determine the correct answer to a question. Common triggers include age, income, citizenship, marital status, residency, support, and use. When you recognize a trigger, consider why it is in the question. Is it important? Would changing it affect the answer? Often there are reasons why this information is in the question. If you do not understand why something is there, take pause, and try to recall if there is a rule. If you cannot remember, choose the best answer, mark the question and return to later for review. EXAMPLE: George, a single taxpayer, has W-2 income of $31,000. During the 2018 tax year, he contributed $7,500 to his traditional IRA. George has excess contributions of how much? The answer here is different if George is over age 50. The age trigger is unstated, and the catch-up contributions are an extension of the normal rules. To answer correctly you must assume the more common scenario (usually the baseline rule). In this case, you would assume George is under age 50. If a trigger is not present, you will do better on the exam if you assume it is not a factor in arriving at the answer. How much does it cost to become an Enrolled Agent? If you can pass all three exams on your first try, you can expect to pay $545.82 in exam fees ($181.94 per exam), a $30 fee to the IRS with your application for enrollment, and the cost of your review course. Is it better to become an Enrolled Agent or a CPA? Enrolled Agents are experts in taxation and share the same representation rights as a CPA with a less stringent exam and no education/work requirements. If you wish to practice taxation, there is no difference to the IRS between a CPA and an EA. They both shared unlimited representation rights. Do I need to be a US citizen to become an Enrolled Agent? No. There are no citizen or residency requirements. During PTIN renewal, you will be asked for your social security number. If you do not have one, you can apply for your PTIN using Form 8946. With Prometric testing centers all over the world, you do not need to come to the U.S. to test. Where can I take the IRS Enrolled Agent exam? The exams are offered in a computer-based format at authorized Prometric test centers in the United States and certain designated international locations. To locate a testing center near you, visit the Prometric website. When can I take the Enrolled Agent exams? A new EA examination period commences each year on May 1 and continues through February 28 of the following year. No testing occurs during March or April. Do I need a PTIN to register for the Enrolled Agent exam? Yes. You will need a PTIN to register for the exam. The IRS Tax Professional PTIN Sign-up System is available at www.irs.gov/ptin. How do I register to take the Enrolled Agent exam? Once you have your PTIN, you may register online at Prometric. Do I have to take the Enrolled Agent exams all at once? Fortunately, that is no longer required. Can I take the Enrolled Agent exams in any order? Yes, you may take the Enrolled Agent exams in any order you please. We typically recommend starting with parts 1 and 3, saving part 2 (business) for last. How much time should I expect to review the Enrolled Agent study material? Depending on experience, you should expect to invest up to 40-70 hours of total study time for each exam part. 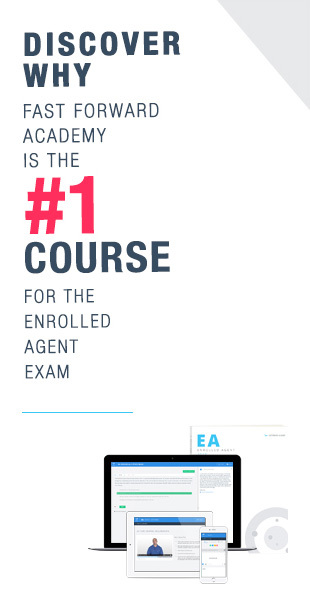 What is an Enrolled Agent Exam passing score? A passing score on each part of the SEE exam is required before the IRS will admit an Enrolled Agent to practice. Scaled scores are determined by ranking your EA test results against others taking the examination, on a scale ranging between 40 and 130. A score of 105 is the minimum required to pass the SEE. Will I receive my score immediately? Test results are available immediately following the Enrolled Agent test. Those who pass are informed, but they do not receive a score. Those who fail receive a score along with a diagnostic report indicating the areas of weakness. Can I retake an Enrolled Agent section if I fail? Yes. A candidate may re-take each part up to four times each testing period. How long do I have to pass all three Enrolled Agent exams? You have two years from the time you pass the first part to pass the other two parts of the SEE exam. What does the IRS look for during the suitability check? As part of the evaluation of your enrollment application, the Internal RevenueService will conduct a suitability check that will include a review of your personal tax compliance and potential felonies that breach the public trust such as fraud or embezzlement. Do I need to pass the Enrolled Agent exam if I have prior IRS experience? An individual with 5 years of relevant employment with the IRS may apply for enrollment to become an Enrolled Agent (EA) without taking the exam. Where can I get more information about what is on the Enrolled Agent exam? Call us at (888)798-PASS (7277) or view more exam details on the Prometric website for the SEE.